Demonstrate the value of ICT. This artifact demonstrates the value of ICT research process and methodology. ICT research explores the dissemination of innovations throughout the workplace. For example, the employee practice of bring your own device (BYOD) is innovative because it changes the way people work. Moore's Law, as it relates to workplace technology. Perpetual innovation of computer systems has changed the way people work. Moore's Law for Power Consumption. Traditional models do not scale well for mobility becuse computers have an insatiable appetite for power. Koomey's Law, as it relates to mobile efficiency. Efficiency gains are revolutionary for battery powered mobile devices. Grove's Law, as it relates to bandwidth influences. Grove’s Law transcends bandwidth innovation from cables to the airwaves. The broadband revolution has begun to take shape and current designs favor mobility. UW-Stout incorporates research methodology throughout the entire ICT curriculum. This research topic is about personal technology in the workplace. It closely relates to the advanced switching and routing concepts in the emphasis curriculum. Employees connect their personal devices to the company network. Consequently, network threats may manifest as smart devices connect to the corporate network.Unfounded assumptions, “can lead to broken, misconfigured, or bypassed security mechanisms” (Cisco Press, 2010). An effective network assessment allows companies to make informed decisions. Managers and network administrators may use it as reference to support decisions on whether to implement, or reject BYOD policy. Artifact: Evaluate and use ICTs appropriate to one's own career. Demonstrate command of advanced routing and switching. This artifact demonstrates proficiency of advanced routing and switching skills. Cisco Certified Network Professional (CCNP) certification validates the ability to design, implement, verify and troubleshoot local and wide-area enterprise networks (Cisco, 2013). High availability (e.g., HSRP, VRRP, GLBP). Cisco Certified Entry Network Technician (CCENT). CCNA certification is as a prerequisite for the CCNP certification. 642-832: Troubleshooting and Maintaining Cisco IP Networks (TSHOOT). The entire certification process took one year to complete. 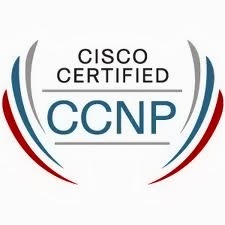 I achieved the CCNP certification through a series of lectures, discussions, course materials and extensive lab work. Every systems administrator should understand routing and switching. Networking fundamentals provide the foundations for all other network systems Cisco Certified Network Professional skill-sets are applicable to the entire infrastructure (e.g., Microsoft, Linux, etc..). Additionally, network administrators with Cisco backgrounds should be capable of working with most other brands of networking equipment (e.g., Juniper, Fortinet, etc..). Promote Enterprise Network Security Strategies. This artifact acknowledges that I have met the training standard for Information Systems Security Professionals, set forth by the National Secuirty Agency (NSA) and the Committee on National Security Systems (CNSS). The Cisco Certified Network Associate Security (CCNA Security) validates my knowledge and ability to secure enterprise networks. CCNA Security curriculum outlines infrastructure security, as follows: firewall installation, monitoring and troubleshooting; integrity, confidentiality and data availability. UW-Stout participates with the Cisco Networking Academy. I achieved the CCNA Security certification through a series of lectures, discussions, course manuals, and extensive lab work. Internal certificate authority (CA) servers distributes certificates to internal systems. Workstations use certificates to authenticate with a process similar to user authentication. Secure socket tunneling protocol (SSTP) virtual private networks (VPNs) allows remote access. Microsoft Direct Access and Terminal Services Gateway use public key infrastructure (PKI) certificates to support remote access. BranchCache uses hashes to ensure data integrity. Interpret and conduct research to improve the body of knowledge relating to ICT. This artifact investigates a network file service problem. End users complained of slow file browsing, slow file enumeration, and a random inability to save Microsoft Word files from a branch office. ICT methodology determined that the problem resulted from server message block (SMB) network protocol limitations. Recommendations were made to resolve the issues. This artifact explores advanced SMB protocols and ICT methodology. Additionally, it explores numerous WAN technologies: wide area file systems (WAFS); distributed file services (DFS); DFS replication (DFSR); and Microsoft BranchCache. Legacy SMB protocol was singled out from a series of network tests. Data statistics were gathered with network latency, bandwidth, and performance tests. SMB2 was considered the enhanced protocol at the time the research was conducted. SMB2 was followed by SMB 2.1 and SMB 3.0. Microsoft released SMB 3.1, along with Windows 8.1 on October 17th, 2013. SMB 3.1 provides file service innovations to any organization. SMB advancements help organizations as follows: reduceds CPU workloads; reduces disruptions to shared resources; protocol encryption prevents eavesdropping; improved response times to branch offices, etc... (Microsoft, 2013). SMB protocol is only one of the many innovations introduced by Windows 8.1 and Windows 2012R2. ICT methodology ensures systems are ready for upgrades through careful analysis of the adoption, implementation, development and use phases. Microsoft, 2012. Server Message Block Overview. Retrieved from TechNet: http://technet.microsoft.com/en-us/library/hh831795.aspx. Analyze the philosophy and principles underlying the organization and operation of ICT enterprises. This artifact explores ICT philosophy and principles through an interview conducted with Tim Hapeman, IT Director at Oconomowoc Residential Programs (ORP). Hapeman has been with ORP for ywo years. He previously worked for Goodwill Industries, as the Manager of Information Technology, and Leprino Foods, as their System and Security Supervisor. Hapeman has a bachelor in Mathematics from Michigan State University, as well as a graduate degree in Computer Information Technology from Regis University in Denver, Colorado. Talent. Recruit, train, and retain talented staff. Infrastructure. Build and maintain robust IT systems. Project Management. Systematic planning and implementation ensure success. IT and Business Partnerships. Develop teamwork and communication between departments. External Partnerships. Collaboration with vendors, customers, and consultants. ICT diffusion principles are applied throughout the interview process. The adoption phase consists of information gathering, design, and development. The process begins with an analysis of High's World Class IT. The interview questions are designed from modeling High's sub-principles of IT and business partnerships. Evaluate and use ICT appropriate to IT Management. The validation examines Microsoft server message block network protocol (SMB2). It represents relationships between technology, organizations, and staff. This validation uses an ICT innovation process called diffusion. The four principles of innovation diffusion are adoption, implementation, use, and effect. This validation uses the diffusion process through the research project. This artifact documents an organizational problem with server message block protocol (SMB). ICT provides a scientific approach to identify and resolve this problem. As such, it introduces SMB2 protocol innovations. Plan, evaluate, and revise ICT systems. The artifact presents the full process management for the adoption, implementation, effects and use for computer based training modules (CBT). The design introduces a web-based tour on the planning process for CBT modules. The CBT project was designed using the ADDIE Process Model. ADDIE was the primary process management model used to design this computer based training module. ADDIE methodology is a combination of academic research and project implementation. This example of a CBT module focuses on network security. The web-based tour documents the ADDIE process model. The UW-Stout ICT program introduces its students to a number of business process improvement models. Examples include ADDIE and Innovation Diffusion. Cisco's Prepare, Plan, Design, Implement, Operate and Optimize (PPDIOO) methodology reinforces process improvement for routing and multi-layered switching projects. How Information society affects global social transformation. This artifact explores the role of intelligence, information, and communication in relation to the Internet. Online global social transformations are expressed through a series of online cognitive, cooperative, collaborative, and motivational processes. The Internet is a synthesis of communication, information, knowledge and intelligence. Information is the communication or reception of knowledge or intelligence. Knowledge are facts, information, and skills acquired through experience or education. The topic was inspired after reading concepts from, The Big Switch, by Nicolas Carr. The information transformation is far reaching and may have social, economic, and political consequences. My research hypothesizes that effects, such as group decision making and crowd sourcing, are a result of a greater intellectual process. The age of information has ushered unprecedented collaboration that connects people, cities, nations, and the globe. Careful consideration and systematic analysis will identify innovations that may provide process improvements. Valadation: The Adventures of an IT Leader Artifact. Analyze current issues and trends in ICT. This artifact reviews, The Adventures of an IT Leader, by Robert Austin, Richard Nolan, and Shannon O'Donnell. It offers relevant discussion on ICT practices and explores current issues and trends in IT Management. Jim Barton, the story's protagonist, navigated through the daily adventures of IT management. The authors included a series of questions at the end of each chapter. These questions refocus the material and provided thought provoking lessons. The material is a wake-up call to all IT professionals; raw technical skills will not cut it in the modern business environment. Keep an open mind to ICT philosophies: organizational, managerial, end users experiences, and other communication lines. The historical, philosophical, sociological, psychological, multicultural, and political influences of ICT on a global economy. This artifact discusses the wide scope of influences of ICT on a global economy. In 1980, Alvin Toffler predicted that society will soon undergo a transition from the industrial age to the information age (Toffler, 1980). The agrarian society. Farming innovations supported larger populations. The industrial society. Manufacturing and distribution innovations shaped the modern world. The information society. The advancement of computers and networks shapes the post-modern world. Toffler's argument is uncannily accurate when considering his work was published 20 years before the Dot-com boom of 2000. The Internet of Things (IoT) represents the next major development of the Internet. The IoT is the continuum of Toffler's Third Wave. Academic. Allowed universities to share basic information (e.g., email). Static content. Simple web pages provided limited content and information to the public. Commerce. Dynamic content introduced the exchange of goods and services (e.g. Ebay, Craigslist, online banking, etc..). Social media. Social networks provided innovative communication (e.g., Facebook, Twitter, etc...). The Internet is on the cusp of a major transformation that will change its purpose from serving humanity to technology. The Internet supplies people with information. In the near future, devices will compete with people for information bandwidth. People will continue to use the Internet, however they will be vastly outnumbered by their online gadgets. System administrators will have to plan for physical and logical network limitations. IoT cannot be implemented with the current IPv4 addressing scheme. IPv6 protocol must be implemented in order to support the billions upon billions of smart objects. Validation: Determining the value of ICT methodology. By Steven Jordan on November 26th, 2013. ICT methodology is used to research a BGP routing problem. The research found that interdepartmental communication breakdowns failed to immediately identify and resolve the problem. Customers, all from the same organization, complained of poor web site usability. Symptoms of the problem were described as slow loading web pages, limited functionality, and unreasonable delay of data. Multiple people, all from a single customer location, called to complain about access to our web service. The Customers depended on the data and they were unable to complete their work because of reliability problems. I usually have limited contact with our customers, however one of our sales representatives asked for my help with this issue. We were reasonably sure there were no network or server problems but we felt it was best to investigate the problem further. After I reviewed internal systems I reached out to the customers. I spoke with 2 managers, and 3 different staff members, from their organization. Each person had a similar experience. The Internet appeared to work OK, but everyone was of the opinion that our site was slow and unresponsive. The company in question is a large organization located on the other side of the country. Simple troubleshooting was a challenge because all workstations were securely locked down. After some persistence I was able to get a hold of someone from their help desk department. The help desk associate stated that he firmly believed that there was a problem with our service. I politely explained that while it was a possibility, I hadn't found evidence to confirm his position. The help desk associate sounded annoyed with the situation, but I was happy he had agreed to troubleshoot the issue. Before I could offer a suggestion, the associate told me, "See? I just pulled up Google quickly. Yahoo is fast too.."
I politely countered, "Yes, but there may be some other underlying problem. It would be very helpful if we could run some latency tests." The help desk associate shot back, "Google and Yahoo work fine. Our Internet works fine. Clearly your company has problems. I suggest you fix it." Click. The help desk associate had hung up the phone. That hadn't gone as well as I had hoped. People still needed help so I decided to try again. I recalled a manager that I had spoken with earlier. Kathy, had been frustrated, but she was also very friendly. I called Kathy and explained I was unable to determine the problem based on my initial conversation with help desk. I politely added that the phone call must have been accidentally disconnected. I think Kathy got the hint. She managed to track down another help desk associate that had helped her with other issues in the past. The second help desk associate, Bob, was very helpful. Bob was forthcoming as he explained his access to network resources was limited. He was however, able to open a command prompt from which we ran some basic tests. Basic ICMP tests, indeed, suggested there may be an Internet related problem. We were also able to determine the organization's public IP information. I was then able to determine the organization's Autonomous System (AS) number, and identify detailed information about the root of the problem. ICT is the study of technology and organizations. The hierarchical divisions between departments, including interdepartmental, were nearly as disruptive as the BGP routing problem. The end-users lost a full day of productivity because of poor communication. The help desk staff provided limited assistance to the end-users. The problem was additionally frustrating because the network administrators had a logical, or rather illogical, escalation buffer. During the troubleshooting, both help desk associates were apprehensive about approaching the network administrators. I suspect their hesitation was founded on previous experiences. Nobody wanted to take ownership of the problem. The communication problems may be worse than they appeared. In the course of my work, I have limited (no) contact with external customers. Yet, I was able to identify the communicative dysfunction after only an hour of working remotely. The IT department was in desperate need of a cultural shake-up. From the outside, it appeared the network administrators sat atop of the IT silo. The organization is large however, so the help desk department, and the network administrators, may have different department managers. It's also possible that the separate IT fiefdoms operate from different buildings. Whatever the case, increased face-time will help establish real communication. It may also be beneficial to allow certain help desk staff to job shadow network administrators on occasion. The experience may be educational as well as build camaraderie. Conversely, it may be worthwhile for network administrators to occasionally man the help desk. This may provide a greater appreciation for each others' contributions. Basic workflow changes within the IT department may have positive reverberations throughout the entire organization.